Is there anything better than being young in the summer? Aside from the obvious break in school —something every kid, whether book worm or not, looks forward to — there’s an extra anticipation leading up to the final ringing of the school bell – the last thing standing between you and months full of making new memories underneath a warming sun. Even as an adult, I find myself anticipating summer’s arrival. There’s something about the shift in weather, the way the lamplight of the world burns longer and brighter, deeper into the night. It means more time spent outdoors, more time with family and friends and more excuses to fire up the grill and enjoy home-cooked meals with cool drinks on a hot patio. 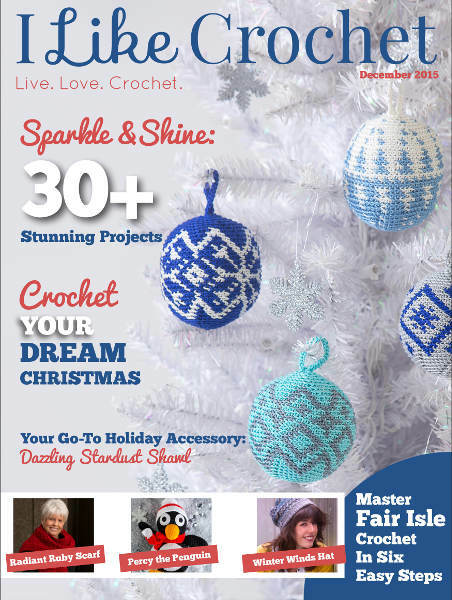 While putting together this latest issue of I Like Crochet, we hope this selection of new designs gets you as excited for the new season as we are. We have included projects appropriate for every summer memory—from sunset walks on the beach to midday brunch with the family. Start your summer crochet adventure with the Soft Focus and See You Layer sections. 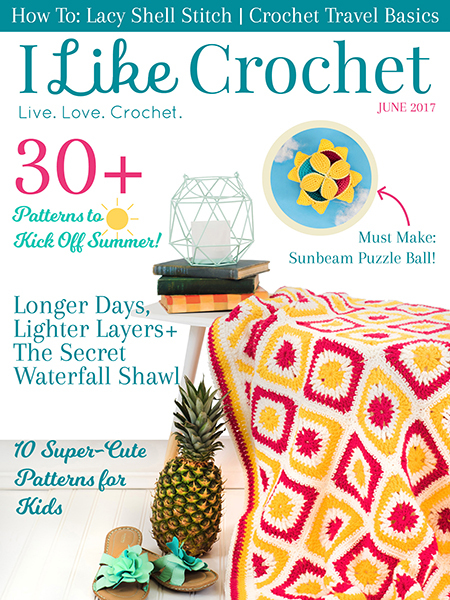 Each one features airy projects—from scarves, shawls and tees – that are as much fun to crochet as they are to wear. No matter what the event (wedding, family gathering, baby shower), this issue has a design fit for the occasion. Whatever you do, make sure not to miss our personal favorite: the Sea Glass Tank. Complete with gorgeous draping, pleating and a crocheted fabric that keeps its shape but is also breathable, this top will be your go-to outfit for all your summer activities.